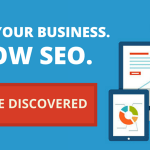 How To Do Content Audit – Do you know how to successfully do a content audit? If no, then you are probably at the most accurate place. A content audit is very effective and beneficial if you want to see growth for your online business. Now, everyone is serious about conducting a content audit because of the variety of benefits it has in store for you. Here we will discuss on how to do a content audit to clear all your doubts. If you just have put your foot in the digital world then it might be difficult for you to do a content audit. To perfectly do this process you need to understand the basics first. So, here we will also discuss what is it and how it is important for any business in the digital industry. In the search engine optimization world, content audit includes a full inventory of all the indexable contents on a specific domain. These contents are then analyzed using performance metrics from a variety of sources to determine which content needs improvement and which is gaining the attraction. The contents which are completely worthless can be either improved or removed from the website. Why is a content audit necessary? A content audit is extremely useful and beneficial when it comes to checking the quality of a respective content. Content audit helps the website owner determine the below-mentioned points. Escaping a content related penalty. Content that needs to be updated and requires copywriting for improved quality. The contents that are not worth and should be removed from the site. 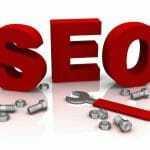 The content which is bringing more traffic and is ranking high on search engines. Like many other SEO activities, a Content audit can also damage your business if not done properly. For beginners, it is a tough task to perform. Sometimes even professionals can also commit mistakes. Therefore, we have brought you some of the easy steps that you can follow to conduct a content audit. Scroll down to check them out. Taking an inventory of all the indexed contents begin with crawling of the site. So, here are few steps to do this first process. 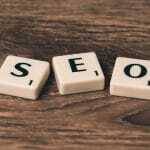 The first thing you need to do is to crawl all the indexable URLs on your website. Do not forget to crawl any of the websites. 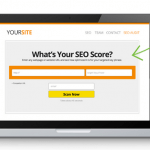 Gather additional metrics for your website. Also, at this phase, you will check some of the most important aspects of a content such as quality, keywords, publish date etc. to name a few. This process or a phase is highly informative as it tells you a lot about the content. You can complete this process by doing the below-mentioned steps. Put all the details into a dashboard because this is a perfect platform to work on. Find out the causes of the content related penalties such as quality, duplicity, and relevancy. Grab the URL and their details and work against or on it for the betterment of the website. In this phase, you will get to know about the quality of the content. This is one of the most beneficial steps for your future success. Writing or making a content audit report will help your team members to work more effectively on the contents. You will get better content strategy which will eventually result in high ranks, traffic and at the end lots of profits. A content audit is extremely beneficial and effective to improve your website’s overall performance. The information you get after this audit can be well sliced and diced for many useful future steps. Many businesses are now switching towards this method to get the best and desired results. Therefore, if you were looking for the same topic then I hope this might have been helpful for you.